Established in 1981, Conncert Music World is a mom and pop store with a huge inventory of musical instruments. 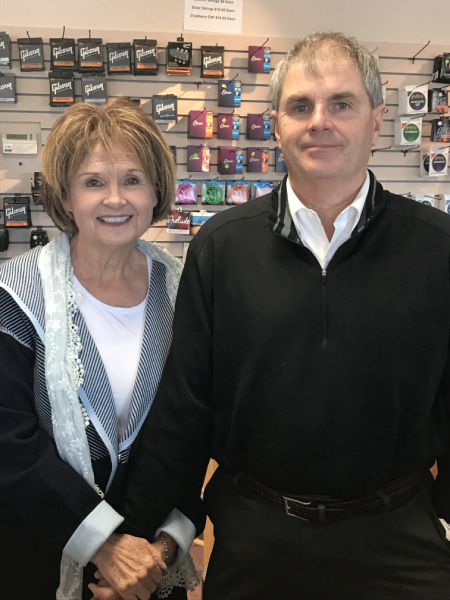 Conncert Music World is led by owners Randy and Patty, whose love for music is evident once you enter the store. Huge inventory, personalized service and many customer friendly options sets our store apart from others. We carry instruments from many brands including Fender, Taylor, Martin, Ibanez, Peavey, Tama, Kawai, and Yamaha, to a name a few. Looking for a Gibson dealer? You've come to the right place - we're the only one within 100 miles! Conncert Music World has two locations - in Bluefield, WV and Cedar Bluff, VA. We have an in-depth understanding of musical instruments and their value. Whatever your musical instrument needs may be, our staff is here to help you find exactly what you are looking for. We offer both new and used products. Our music store offers peace-of-mind options such as in-store layaway, instrument purchasing, financing, phone orders, trade-ins and much more! We offer both new and used musical instruments. Whether you have a church function or a party, you will find the product you need. Visit us today!